I hate to pooh-pooh simplicity, but does anyone else ever get bored with summer clothes? It's been full-on, blazing heat, forget spring, summer weather here since early May and I'm a little sick of it. If summer is your favorite and you kind of want to punch me right now, I get it, I do. But I want LAYERS. Give me a nice spring day where a denim jacket is required in the evening and I'm a happy gal. Unless I'm dressing specifically for the AC (see this post), I'm just not all that excited to get dressed anymore. 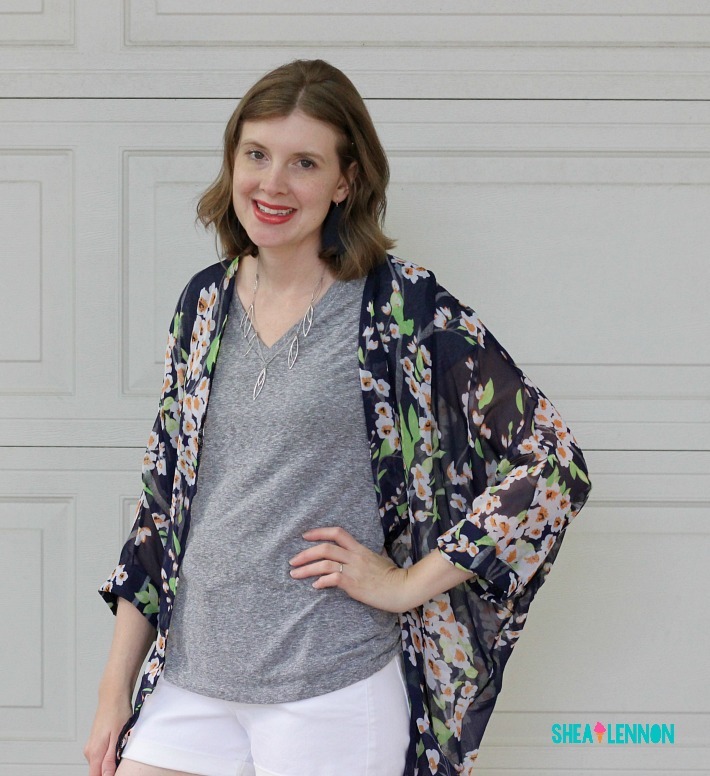 However, there is one summer-friendly layer that is helping me get out of my style rut, and that is the kimono. The one I have is made from very light, sheer material that adds no weight to this summer look. Yet, I feel like it adds SO MUCH to the outfit. White shorts and a gray tee on their own sum up my current feelings about summer clothes pretty well: sure, I like this outfit fine. It's fine. Yawn. But add the kimono and I have a LOOK. Why yes I did get dressed today, thank you very much. It may be all mental of course, but what isn't? How do you keep your summer outfits interesting? Or do you think I'm crazy and love summer clothing because no layers are necessary? 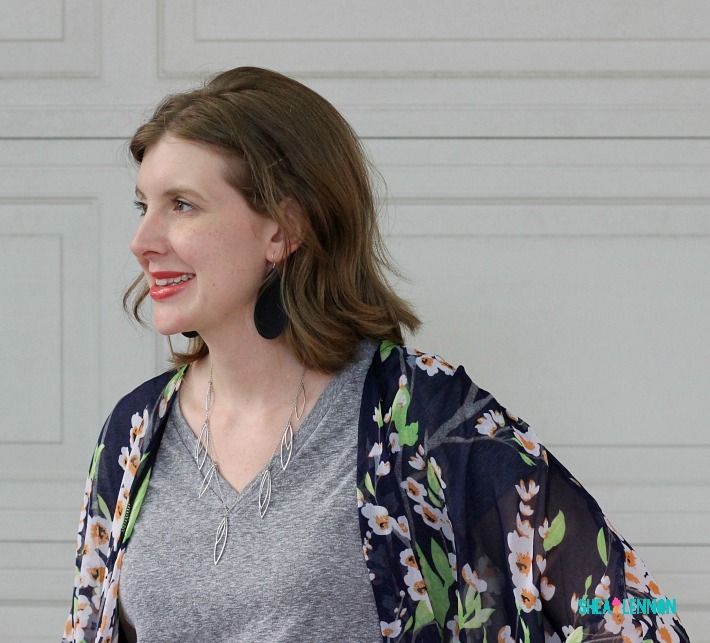 Linking with Confident Twosday, Style on the Daily, and Elegance and Mommyhood. Totally get it! I need layers too! What a beautiful kimono!